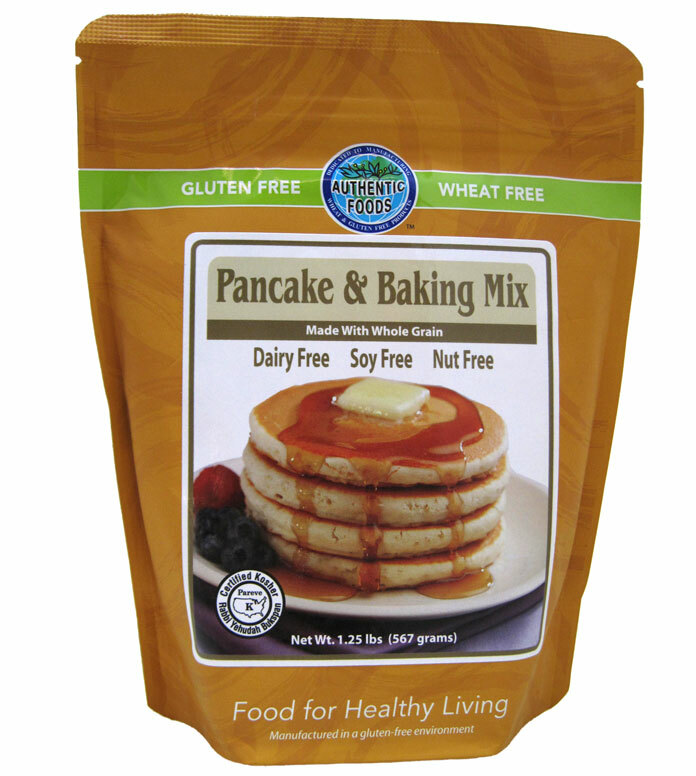 The Authentic Foods Pancake & Baking Mix can help you make anything more nutritious and delicious. Use this mix to make light, fluffy pancakes that will keep you full till lunch; waffles so crisp and light that you can serve them for breakfast, dinner or dessert; a breading for buffalo wings that won't last through the first quarter of the game; and donuts so delicious that we bet you can't have just one! 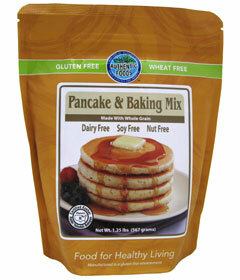 Whether you crave pancakes, a quick dinner, the Authentic Foods Pancake & Baking Mix is the perfect fit for your meal. The all-natural mix is made from our stone-milled Garfava Flour and Superfine Brown Rice Flour. This flour will help contribute to your healthy lifestyle because it is made using our stone-milled Garfava Flour and Superfine Brown Rice Flour resulting in additional protein and fiber in every bite. The versatile mix is quick and easy to use. All you need to do is add eggs, milk (or milk substitute), vegetable oil and maple sugar (or some other sweetner) and mix. From start to finish you can be done in less than 15 minutes, making this a great way to start each day. In a medium bowl, beat together eggs, milk, oil and sugar. Gradually stir in the pancake mix until the batter is smooth. Preheat griddle or skillet that has been lightly coated with oil to keep pancakes from sticking. Using a large tablespoon, drop batter to make about 4-inch diameter pancakes. Cook first side until bubbles form and begin to pop and edges look dry. With spatula, turn and cook until second side is golden brown. If desired, serve with syrup, preserves or fruit. Variations: Add 3/4 cup of chopped fresh fruit, 1/3 cup of dried fruit, 1/2 cup of mini chocolate chips, or 1 whole banana mashed with 1/3 cup of walnuts.